At Stonehearst, Newgate (Jim Sturgess) is met by the standoffish groundskeeper, Finn (David Thewlis), who claims to have never heard of his internship request, before being taken inside to meet the superintendent, Dr. Lamb (Ben Kingsley). Lamb leads Newgate on a tour of the building, explaining all of his novel methods of treatment. There are no straitjackets or barred cells here, and no ice-cold buckets of water or force-feedings. Patients and staff dine together. An aging aristocrat who thinks that he is an Arabian stallion is given a thorough daily grooming with a dandy brush. Newgate asks why Lamb doesn’t try to cure the man of his delusion. “And make a miserable man out of a perfectly happy horse?” responds the senior doctor. 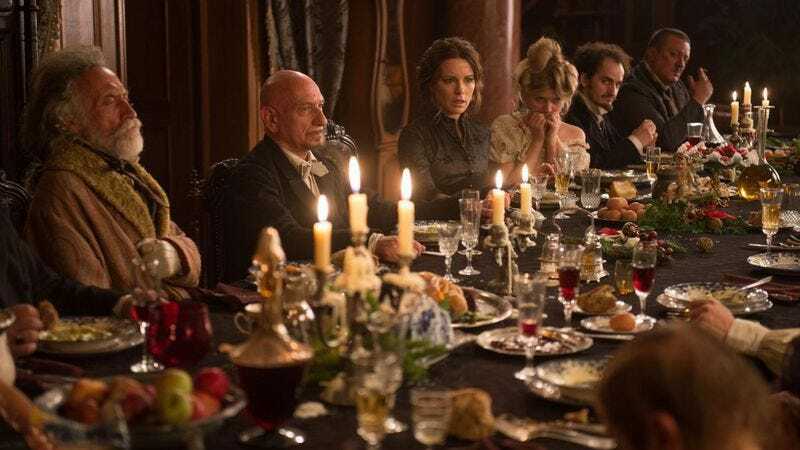 Stonehearst Asylum is the kind of hothouse psychological thriller that frames itself around unexpected reveals, and it’s hard to say much of substance about the movie without disclosing the first of its many plot twists. On his first night on the asylum grounds, Newgate discovers that Lamb, Finn, and the rest of the staff are actually patients who have deposed the asylum’s real superintendent, Dr. Salt (Michael Caine), and imprisoned him along with his staff in dank basement cells. This is where the movie’s source material, the Edgar Allan Poe short story “The System Of Doctor Tarr And Professor Fether,” ends, but it’s where Stonehearst takes off, subverting genre expectations by turning the inmates into representatives of modernity. The presence of Kingsley—as well as all the ornate cabinetry and shadowy atmosphere—might suggest Shutter Island, but the real referent appears to be Tod Browning’s Freaks, with its complicated mixture of fear and sympathy. Newgate has every reason to suspect that Lamb—who is a real doctor, albeit one who’s been institutionalized at Stonehearst for the last decade—will lock him up along with Salt’s gang if he finds out that his would-be intern knows the truth. At the same time, he’s also awkwardly trying to romance Mrs. Graves (Kate Beckinsale), a sexual-abuse survivor who, like quite a few of Stonehearst’s inmates, doesn’t qualify as insane by any modern standard. Essentially, Newgate is forced to navigate between two flawed societies: Lamb’s “perfect” hospital, which is undermined by its leader’s egomania and won’t last the winter without outside intervention; and the “real” world of the deposed doctors, who represent the worst of 19th-century medicine. Not for nothing is the movie’s overheated, somewhat ham-fisted climax set on New Year’s Eve. 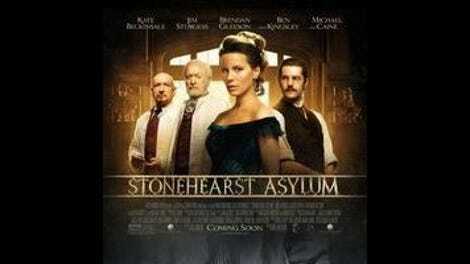 The basic plot of Stonehearst Asylum is the story of the Utopian ideals of the late 1800s—feminism, socialism, humane treatment—coming into direct conflict with the shortcomings of their proponents and the culture of the time, creating something like the 20th century out of fire and broken glass. Director Brad Anderson (The Machinist) has carved out a niche for himself directing thrillers and horror movies that turn on asylum imagery, putting protagonists—often confronted with things they can’t explain—into confinement: the Danvers State Hospital in Session 9; a train chugging through the frozen back ends of Russia and China in Transsiberian; the bar-turned-safehouse in the post-apocalyptic Detroit of Vanishing On 7th Street. There, literal and metaphorical asylums are both prisons and sanctuaries, entrapping the characters while also protecting them from a harsh outside world. Stonehearst represents the most literal expression of Anderson’s pet theme; having overthrown Dr. Salt, the inmates have no intention of escape, and have in fact decided to maintain the insitution’s patient-nurse-doctor structure, with the most able taking care of the least. The harsh, craggy, windswept landscape outside the grounds of Stonehearst Asylum comes to represent the world that doesn’t want them.